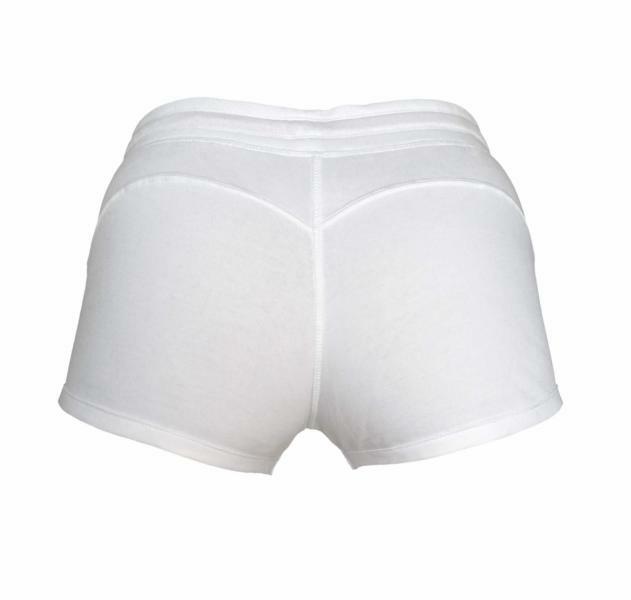 Gavelo Victory Shorts White - simply a winner! Made from 100% organic cotton, with superb fit and cool details - it might just be the most comfy thing you will ever wear. White fabric, with pink embroidery. Gavelo logo on the right leg. Gavelo Victory Shorts is made with love and care for both you and our planet. What’s not to like? Please note: Shrinks somewhat when washed. Clothes made by eco cotton should be streched and reshaped after wash. Dry tumbling will make your shorts shrink more than if you leave it to air-dry.